Billy has a long standing connection to the core principals of Pacia Life. He personally benefited immensely when he was younger by having individuals in his life that coached, mentored, and helped him figure out both who he was, and also who he wanted to become. Though he didn’t know it at the time, those experiences laid the foundation that would lead to an incredible life journey and career path. Billy graduated college with a degree in Business Administration and Marketing, including time spent studying abroad. After working in the corporate world, he desired to find more passion in his work and searched for opportunities to assist others. 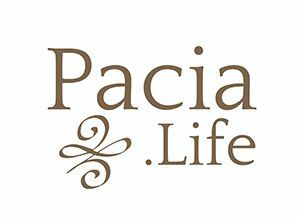 Before joining Pacia, he started with an entry level position and eventually was a manager for several years at the largest outdoor therapeutic company in the nation. Billy’s natural ability to quickly build relationships coupled with his organizational skills and attention to detail make him an incredible asset the Pacia family. Billy believes there is a fallacy in the idea of going through life simply learning from mistakes along the way. Instead he desires that people learn from their own successes and from the achievements of others. He has seen over and over the growth and transformation that comes from being a member of a supportive goal-oriented community. Creating an atmosphere that encourages accountability to self and others simply produces results. Billy desires to continually build and share that environment with those he works with both professionally and personally.